When you think of man-made environmental disasters, the names and places which spring to mind are usually far-flung places like Chernobyl, Bhopal and Fukushima. Whilst these large-scale events might be the ones that make their way into the history books, there are many smaller tragedies that have taken place much closer to home. This week, we look at three historic environmental disasters in Australia that affect both the community and the environment to this day. In the 1940s, Imperial Chemical industries has a factory in Botany Bay which manufactured industrial chemicals, paints and plastics. Millions of litres of toxic chemicals leaked through the sandy soil and into the local aquifer which was used as a water source by Botany Bay residents and local industry. The toxic plumes caused by the original chemical leaks is still present to this day and the groundwater contains hazardous levels of several toxic chemicals which have been linked to some cancer cases. 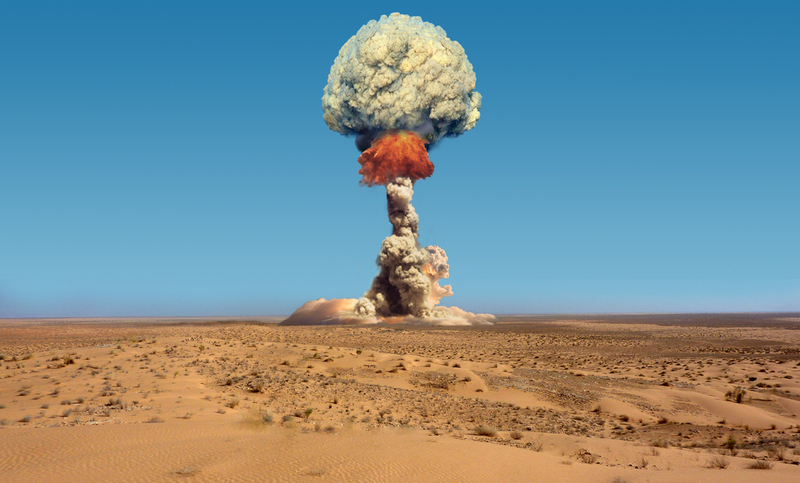 Between 1956 and 1963, the British Military conducted two major nuclear tests and hundreds of minor trials in a remote area of South Australia known as Maralinga and home to the Pitjantjatjara and Yankunytjatjara Aboriginal people. Radiation hazards from the nuclear fallout of this testing persist to this day, despite two separate clean-ups attempts in 1967 and one in 2000 which cost $108 million dollars and much of the social disintegration which continues to affect the Indigenous communities of the Maralinga area has been linked to their displacement and resettlement because of the testing. During the 1960s and 1970s a Canberra company called Mr Fluffy blew loose fill asbestos into the roof spaces of homes as a form of insulation and sold sacks of asbestos to homeowners to insulate their own homes. Because the loose fill used by the company didn’t contain any bonding agents, loose asbestos fibres moved into the living areas of these houses, causing a range of deadly asbestos related diseases. The ACT Government estimates the number of properties affected by the Mr Fluffy contamination to be around 1,022 and has affected up to 30,000 people who have lived and worked in these spaces over the decades. Despite clean-up effort between 1989 and 1993, testing found asbestos fibres to still be present in many of these properties, so in 2014, the Australian Government agreed to loan the ACT $1 billion to undertake the demolition of properties insulated with loose fill asbestos. This scheme is still being undertaken and has resulted in the demolition of several heritage buildings. Alpha Environmental are established environmental consultants helping Melbourne residents, local government, and businesses effectively manage and remediate a wide range of environmental issues. To learn more about our capabilities, please don’t hesitate to get in touch with us by calling 1300 039 181.